You shall be in the thick of it. Taking command in multiple instances throughout that great conflict that became known as The Thirty Years War, which is to be the central subject of Slitherine's upcoming Pike & Shot. You can take command in the greatest historical battles of the war, fight stand-alone "what-if" scenarios, or design your own scenarios using the easy to use editor. • Accurate simulation of battle in the 16th and 17th century Age of Pike and Shot. • Classic Turn-based, tile based gameplay. • 20 troop-types, 25 "capabilities" and numerous different unit organisations allow full representation of tactical differences and developments throughout the period. • Effective AI makes sound tactical decisions. Historical battle AI customised to the historical tactical situation. • Single player and multiplayer modes. • Stand-alone battle system allows unlimited "what-if" scenarios using historically realistic armies from carefully researched army lists, on realistic computer generated terrain maps. 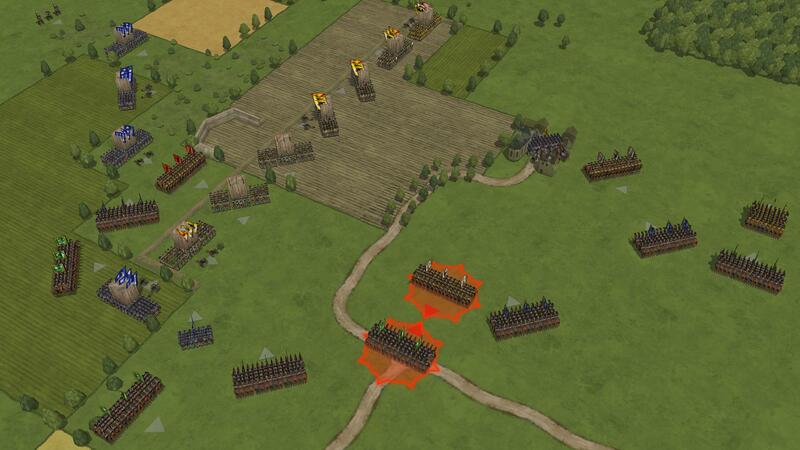 • Stand-alone scenarios are randomly generated and include open battle, attack on a defensive position, defence of a defensive position, awaiting reinforcements, enemy awaiting reinforcements, flank march. • Unique graphic style based on 17th century styles and battle paintings. Ranks are staying tight for now as no word has yet escaped regarding a release date, but morale is high enough that a pair of additional expansions are already planned, which will reportedly allow us to explore the English Civil War and 16th century Italian Wars as well. Update: beta testers for Pike & Shot are now being sought. Those interested should register here. The Wargamer's Nik Gaukroger offers his first impressions on Pike & Shot. RPS' Tim Stone thrusts forth his impressions on Pike & Shot as part of the regular column The Flare Path. The folks over at The Wargamer interview Mr. Richard Bodley Scott about Pike & Shot. New Pike & Shot screenshots are thrust forth here. Update: Matrix Games sends word that Pike & Shot now has an official release date of October 17th. Matrix Games has now announced that Pike & Shot has been released and that you can save a tenner if you purchase it during launch week. At The Wargamer, Col. (Ret.) Bill Gray reviews Pike & Shot. RPS' Tim Stone tells us what he thinks of Pike & Shot. Armchair General's Patrick Baker reviews Pike & Shot. Matrix Games has announced that Pike & Shot is now available for iPad. 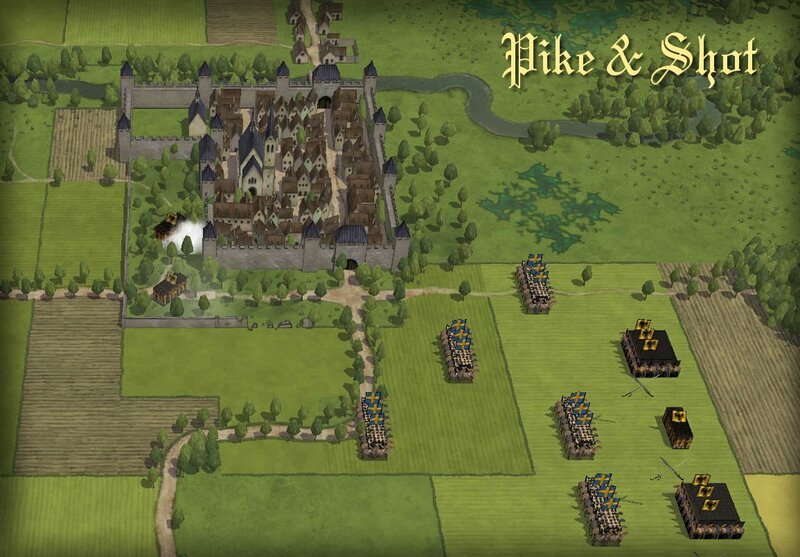 The Wargamer's Nik Gaukroger reviews the iPad version of Pike & Shot. Matrix Games has now announced Pike & Shot - Tercio to Salvo, an upcoming expansion currently in beta and they're accepting tester sign-ups here. (...) it covers the years between 1560 and 1628, putting the players at the head of one of the numerous nations involved in the wars of religion that spread out all over Europe at that time. It adds two new playable factions, Russia and the Dutch Republic, 49 new army lists with new unit graphics and 10 historical battles. Pike & Shot's first expansion, Tercio to Salvo, has now been released and the base game updated to version 1.0.4 as detailed here. Over at The Wargamer, COL Bill Gray reviews Pike & Shot's Tercio to Salvo expansion. Pike and Shot: Campaigns is a brand new all-in-one package. It includes the Pike and Shot base game and the Tercio to Salvo expansion, plus 21 new skirmish army lists for the rest of Europe during the period of the Italian Wars (1494-1559) covering the armies of England, Scotland, Denmark, Sweden, German States, Austria, Hungary, Transylvania, the Ottoman Empire, Poland-Lithuania and Russia! But the main new feature is the strategic map system, implemented to allow you to lead your armies to victory over an entire theatre of operations, taking into account strategic considerations such as terrain, available manpower, supply, attrition, sieges and economic damage. Pike & Shot Campaigns has now been announced. Release set for the 13th of August.